The Execute method of job definition Microsoft.SharePoint.Administration.SPServiceInstanceJobDefinition (ID 7588c6ba-6e23-4712-aff4-8c1f53d2d4ec) threw an exception. More information is included below. stsadm -o provisionservice -action stop -servicename osearch15 -servicetype "Microsoft.Office.Server.Search.Administration.SearchService, Microsoft.Office.Server.Search, Version=15.0.0.0, Culture=neutral, PublicKeyToken=71e9bce111e9429c"
stsadm -o provisionservice -action start -servicename osearch15 -servicetype "Microsoft.Office.Server.Search.Administration.SearchService, Microsoft.Office.Server.Search, Version=15.0.0.0, Culture=neutral, PublicKeyToken=71e9bce111e9429c"
I was working on an environment with a problematic UPS today. Every time I tried to navigate to the MySite host it gave me the error “Could Not Load User Profile.” My first instinct was to re-provision the User Profile Synchronization Service, but that didn’t have any effect. After re-provisioning I also checked to make sure the UPS was associated to both the My Site Host and the Main SharePoint site…both passed the test. 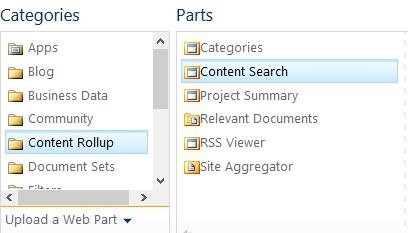 I then came across a similar issue in an Office 365 forum: http://community.office365.com/en-us/forums/154/p/76248/291154.aspx which stated to double-check the Search Center URL and the search Scoped. Woila! The search center changed from /search/pages to /searchcenter/pages. 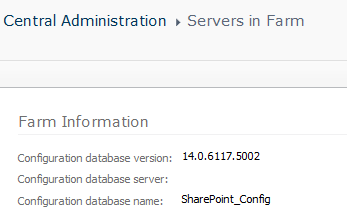 Ever deployed a SharePoint farm solution and then lose the WSP file? Good news – there is PowerShell to grab that WSP file and save it off somewhere for DR purposes. After reviewing a possible scenario with User License Enforcement/Standard users utilizing the content search web part (CSWP) I noticed some interesting behavior. It appears that user license enforcement doesn’t enforce all standard features (MS forgot the CSWP). I have done extensive testing against Excel Services and Visio Services, which present a nice message indicating that you don’t have licensing to view that web part.